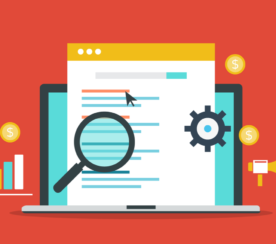 Quality Score can seem like a bit of a mystery to new search advertisers. 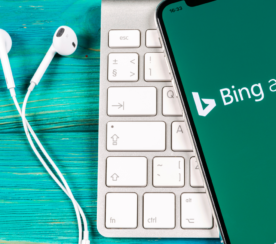 The promise of search advertising is that ads will be shown for selected keywords, so long as the advertiser is willing to pay for the resulting clicks. But with thousands of advertisers vying for top rankings on the same keywords, there’s clearly more to it. That’s where Quality Score comes into play. Why does Google use Quality Score, how do they calculate it, and how can advertisers improve it? I served on the Quality Score team for Google Ads (then AdWords) while I worked at Google, so let me shed some light. Quality Score is Google’s measure of how relevant a keyword is. As soon as Google has enough data, keywords in an advertiser’s account are assigned a score between 1 and 10, with 10 being the best. This number is a representation of the aggregate relevance of the keyword across the many auctions in which it participates. It is meant to guide advertisers but it is not used to rank ads. What is used to rank ads behind the scenes of every ad auction, is the real-time Quality Score that takes a lot of additional factors into account. While the 1-10 number helps advertisers gauge how good a job they are doing at choosing the right keywords, writing good ads, and driving users to helpful landing pages, it’s the real-time Quality Score that really matters. The real-time Quality Score is more granular than a 1-10 number but it is not shared with advertisers because it fluctuates all the time and is different for every single search that happens on Google. Google doesn’t want to show irrelevant ads and it’s easy to understand why. They charge advertisers primarily for clicks on their ads. If an advertiser uses a very high bid to hog a high position on the page with an irrelevant ad, it won’t get clicked on and Google won’t make any money. Search advertising is a direct response advertising model and not a branding model. For example, while a car manufacturer may think an ad for a new pickup truck would really resonate with someone looking up the score for the big game, that ad is unlikely to garner a click and hence is detrimental to Google Ads. 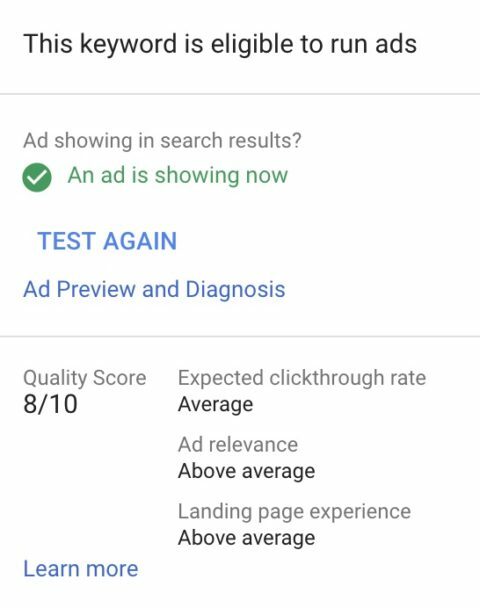 So when Google predicts a particular keyword to be very irrelevant and assigns it a very low Quality Score, that ad may not even enter into the auction for most searches. On the flipside, having a high Quality Score ensures an ad is eligible to participate in more ad auctions so it moves on to the ranking step. Once Google has selected the keywords and ads that are likely to be relevant for a search, those are entered into the ad auction. This is a split-second auction where Google evaluates how much each one is bidding (max CPC), how relevant they are (QS), and what other factors like ad extensions may give a boost to the CTR. Each ad gets a score and the resulting rank determines who gets their ad shown in the top slot, and who misses out on the first page of results. Advertisers benefit from a higher ad rank because ads in higher positions tend to get more clicks and that means more leads and chances to make a sale. The actual CPC an advertiser has to pay for a click is calculated based on the CPC they would need to maintain their rank above the next ad in the auction. This discount is the reason most advertisers have an average CPC that is lower than their max CPC. Advertisers benefit from a higher Quality Score because it means they have to pay less to maintain their position versus their next competitor. In effect, the higher the QS, the less they have to pay for the same click. You can improve Quality Score by improving the relevance of your keywords, ads, and landing pages. The three subcomponents of Quality Score are shown when hovering over the status field for a keyword. So this can guide you towards what to optimize. This is a measure of how likely your ad is to generate a click when the search term is exactly the same as your keyword. If it’s low, make sure the keyword is relevant to what you’re advertising. Also consider that your ad may only be relevant in a limited number of cases. For example, a dog walking service may sometimes be relevant for the keyword ‘dog’ however there are many searches a user might do including the word dog when they’re not looking for your service, but instead need a vet, dog food, or photos of dogs. This will negatively impact the CTR of the keyword and it may be time to consider adding more relevant keywords to the account. If your keyword is relevant, but this score is low, try writing a stronger ad that is more compelling by highlighting its relevance to the keyword or by including a stronger call to action or unique value proposition. This component measures how well the message in your ad matches the keyword. If this component is low, it may be because your ad groups cover too broad a range of themes. A solution may be to split the ad group into smaller, more tightly themed ad groups. For example, if you’re a pool contractor, keywords like “pool design,” “in ground pool construction,” and “pool renovation” may all be highly relevant, but when they are all in the same ad group where they share the same ad text, some relevance is bound to be lost. By having too disparate a list of keywords grouped in one ad group, you can cause the ad that is shown to be too generic or about the wrong theme. Don’t just rely on dynamic keyword insertion, but take the time to properly structure your account by building separate ad groups for each set of closely related keywords. In the example before, each of the 3 pool related keywords is a different theme and should be in different ad groups. 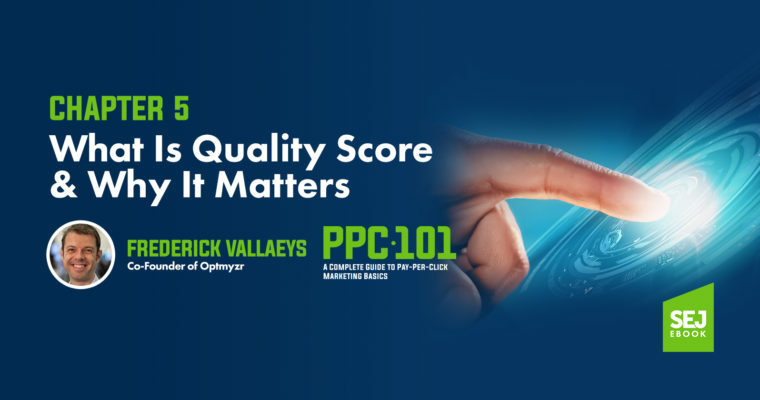 This final Quality Score component measures what happens after a user clicks the ad. When searchers arrive on your landing page, are they happy they came or do they turn right around and leave? If this component is too low, make sure that the landing page is closely related to what the user searched for and delivers on the promise in the ad. Usually deep linking (i.e., linking to a specific landing page) is better than taking someone to the homepage. Make it easy to use the landing page on both mobile and desktop devices. Make the page load fast and consider using an accelerated mobile page (AMP). Offer unique and valuable content and treat the user’s data with respect. Along with the bid, Quality Score is a major part of how Google decides which ads to show and how to rank them. This makes PPC very appealing because it’s not just the biggest advertiser who always wins. Monitor your Quality Score and tackle optimizations when a low Quality Score is holding you back from achieving your targets. However, don’t get so bogged down with Quality Score that you lose track of the ultimate goal, which is to run an efficient business that makes a meaningful connection with new prospects through search marketing so that the people who work at the company make a good living, and users get their problems solved.